Some shops are shops, and some are experiences. 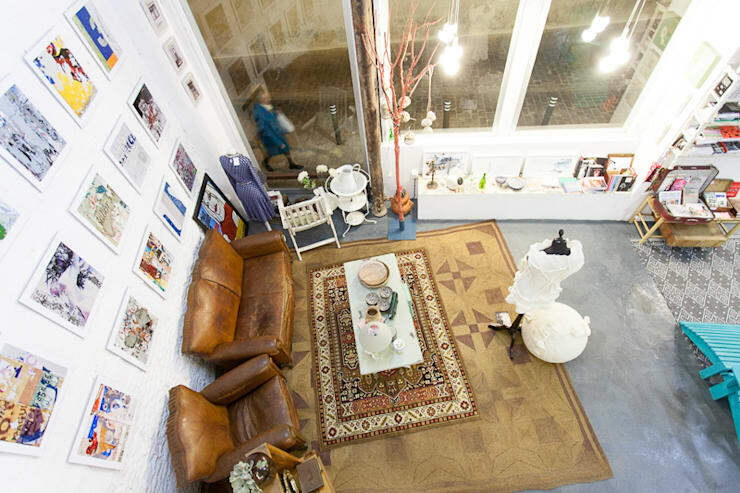 Wabi Sabi Shop & Gallery, located in Seville, Spain, falls squarely into the latter category. 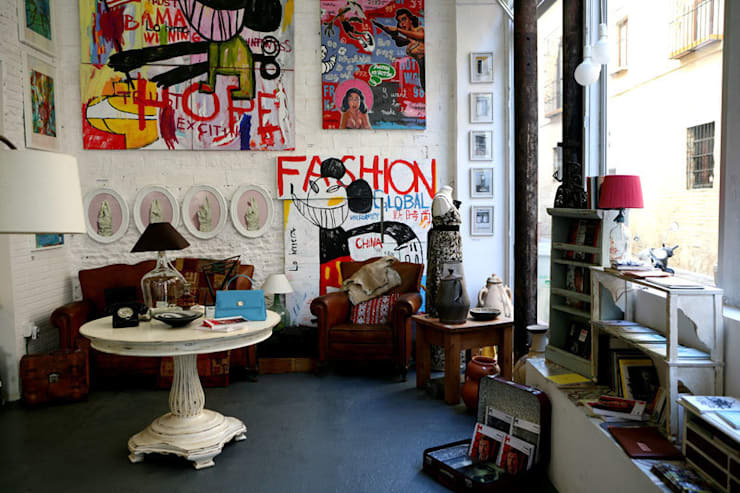 It’s one of those shops that draws in those who love to rummage, to discover the unexpected in a hidden place. You might not go there to buy anything, but rather just for the pleasure of going there. You certainly wouldn’t go there if you had something specific in mind that you wanted to look for; this is not the place to go if you just need to pick up a new pair of jeans in your size. The shop sells, well, more or less everything, with the exception of food and drink. It’s also a gallery, so the walls are as busy as the floor. 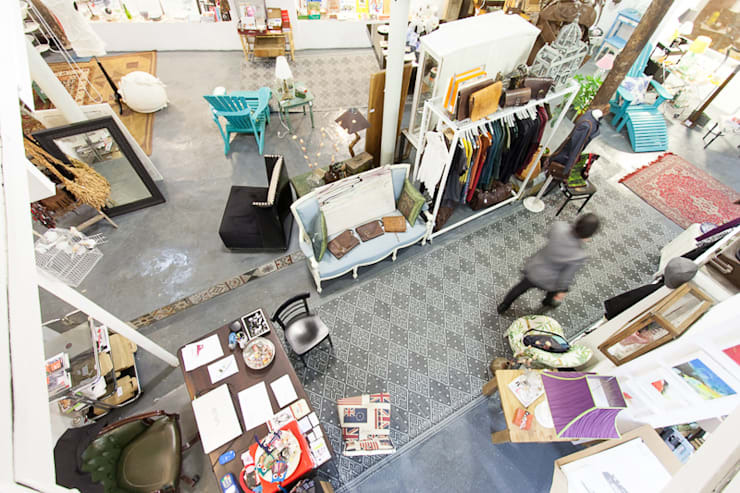 Furniture and clothes clamour for attention, acting not only as the shop’s stock but as the crucial ingredients to the shop’s design. 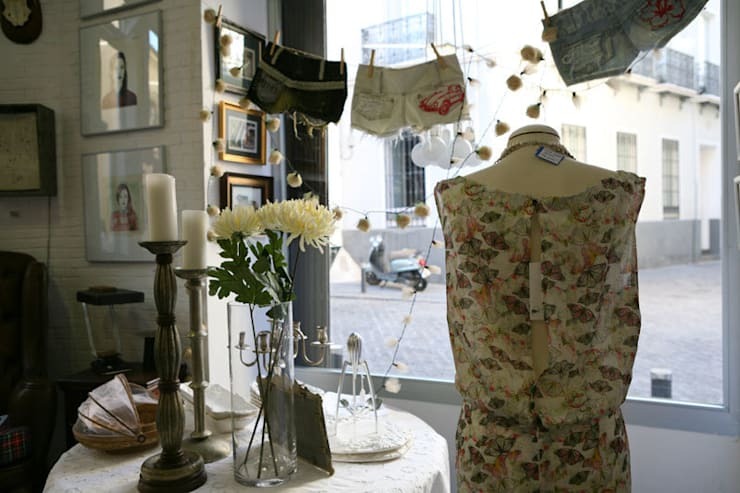 Wabi Sabi is a good example of the type of “anti-shop” shop that has become increasingly popular over the past decade or so. In this model, once the preserve of only the proprieters of dusty junk shops but now painstakingly reimagined for the hipster market, everything is for sale yet appears to be haphazardly displayed in a distinctly non-commercial manner; in fact, nothing will ever be truly hidden away, and the fun is in the hunt. 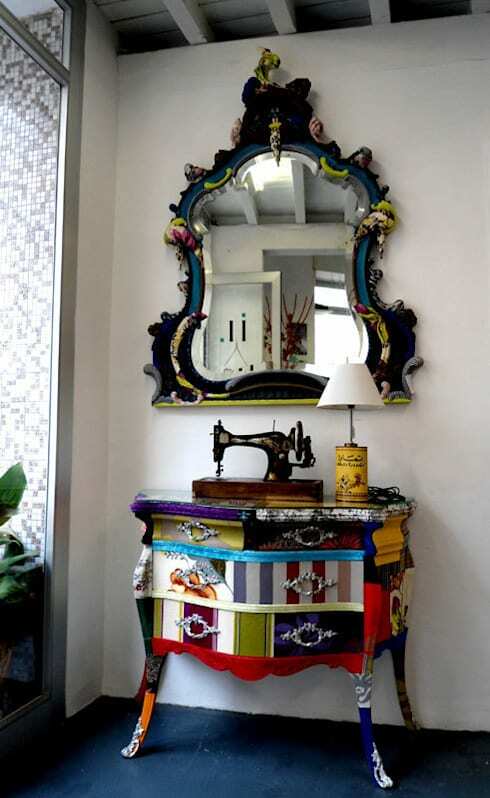 The mix of styles on display is so diverse that there is sure to be something there to delight every customer. Similarly, there will no doubt be pieces that will appal certain people; but as this picture shows, the effect when all are displayed together is quite impressive, even if some of the individual items fall a little short of good taste. Most of the furniture in the shop is laid out much as it would be in an actual home, leading to the feeling that the space is divided up into separate little living rooms rather than being one big showroom, as it in fact is. Clothes are shown off in a variety of unusual ways, such as this clothes line of short shorts. This angle shows just how impressive the building in itself is. With those high ceilings and endless floor space, it would be easy to get lost in here. The shop is full of weird and wonderful items filled with unique character. Few of them match, and yet they all work together. 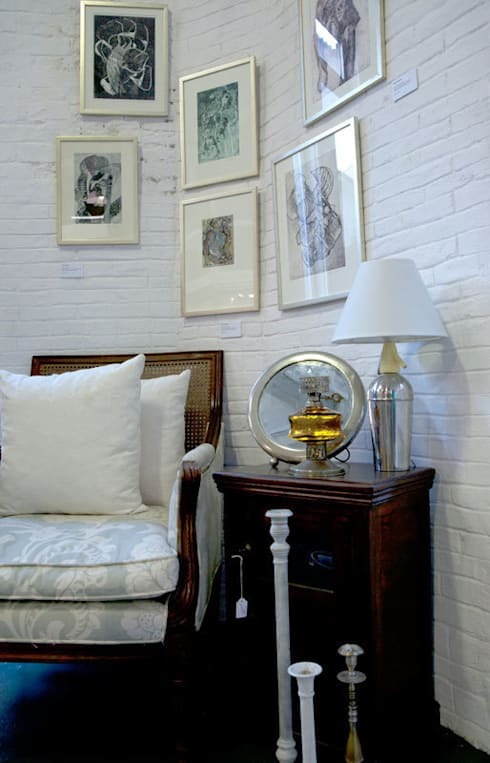 The scrawled, graffiti-like style of the paintings on the back wall seems completely at odds with the gently twee vintage furniture in front, and yet, as with so many other unexpected combinations in tis shop, the two jarringly different styles bring out the best in each other. 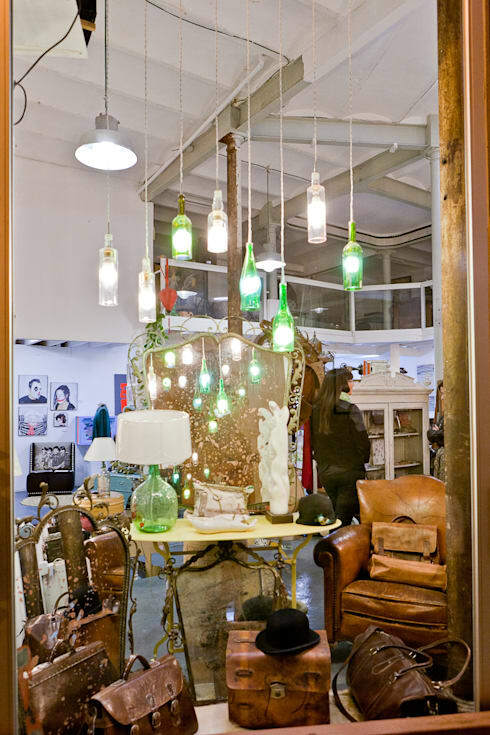 Made from bottles, these hanging lamps create a truly magical effect with their subtle green glow. 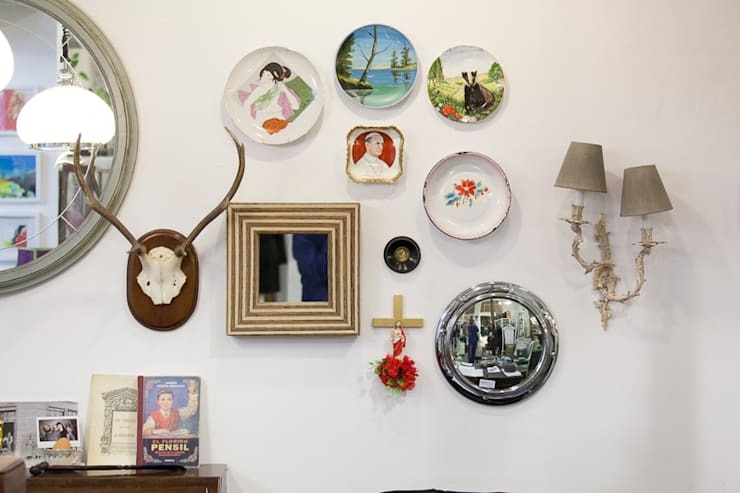 Although the shop appears disorganised, every one of its areas has in fact been carefully planned. 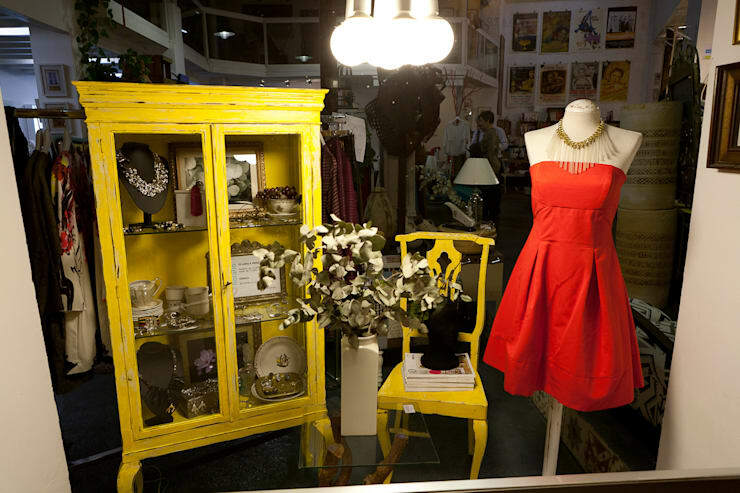 Colour, in particular, has been extensively considered, as is shown by the decision to place this bright red dress next to contrasting furniture. In other parts of the shop, the look is a little more muted. Not everything has to be about clashing colours and loud art. 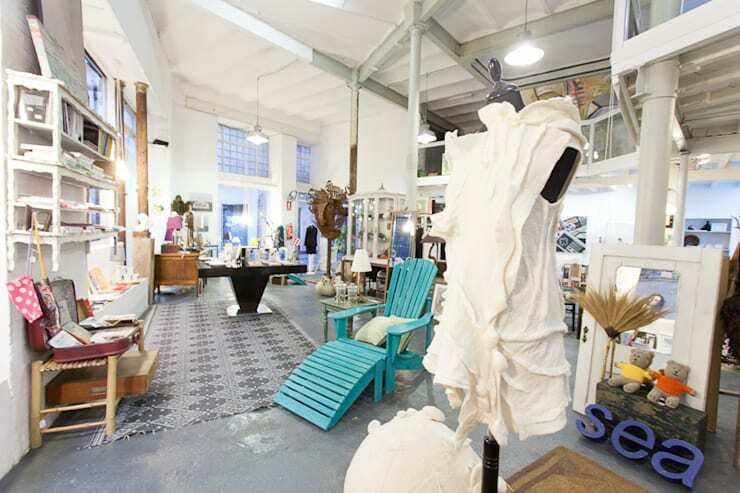 If you enjoyed this ideabook, you might like to wander over to this ideabook full of pretty shops for another healthy dose of retail design inspiration.